Calgary, Alta. – The Western Hockey League, in collaboration with the Canadian Hockey League and Hockey Canada, announced today the coaching staff for Team WHL, which will compete against Team Russia at the 2018 CIBC Canada Russia Series in Kamloops and Vancouver. Moose Jaw Warriors Head Coach Tim Hunter will return as Head Coach for the third consecutive year after serving behind the bench during the 2016 and 2017 CIBC Canada Russia Series. He will be joined by Lethbridge Hurricanes Head Coach Brent Kisio as well as Kelowna Rockets Head Coach Jason Smith. Team WHL will host Team Russia November 5 in Kamloops and November 6 in Vancouver. Working the bench as Athletic Trainer for both games will be Mike Burnstein of the Vancouver Giants. 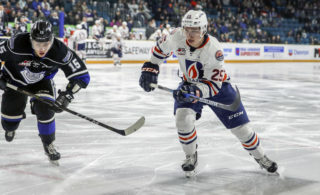 In Kamloops, he will be joined by Athletic Trainer Colin ‘Toledo’ Robinson of the Blazers, while Khore Elliott, Athletic Therapist of the Victoria Royals, will provide his services in Vancouver. Equipment Manager Shingo Sasaki of the Vancouver Giants will also assist in Vancouver. The 58-year-old Hunter, now in his fifth season with the Moose Jaw Warriors, is also returning to the coaching staff for Canada’s National Junior Team. 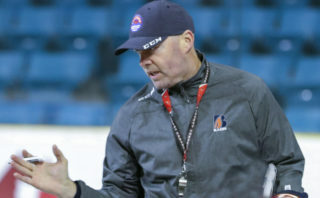 Having served as an assistant coach in 2017 and 2018, Hunter was named Head Coach of Canada’s National Junior Team in July 2018. As an assistant coach, Hunter aided Canada to a silver medal in 2017 and a gold medal in 2018. 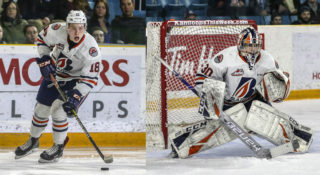 Behind the Team WHL bench at the CIBC Canada Russia Series, Hunter has collected a record of 2-1-1-0. 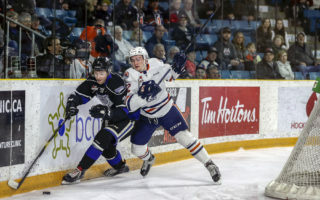 The 35-year-old Kisio, now in his fourth season as Head Coach of the Lethbridge Hurricanes, was named Assistant Coach on Hunter’s coaching staff for Canada’s National Junior Team in July 2018 after winning a gold medal as Head Coach for Canada at the 2017 Ivan Hlinka Memorial Cup in August 2017. The 44-year-old Smith is now in his third season as Head Coach of the Kelowna Rockets after beginning his coaching career as an Assistant Coach with the NHL’s Ottawa Senators (2014 to 2016). The six-game CIBC Canada Russia Series features regional league teams of Canadian National Junior Team candidates competing against the Russian National Junior Team. 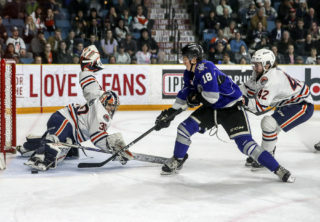 For the fifth straight season, the event will open with two games in the WHL. Since the event first began in 2003, CHL teams have played to an overall record of 61-22-1-6. The competitiveness of the rivalry has grown in recent years, with the 2017 event requiring a shootout to break a series tie in Game 6. The first ever shootout finale in event history was won by Team QMJHL, giving the CHL its third consecutive series victory. Team CHL has won 12 times in event history, with Russia emerging victorious on three occasions. The 2018 CIBC Canada Russia Series is supported by title sponsor CIBC, the Official Bank of the CHL, along with associate sponsors Kia Canada, Sherwin-Williams, Cooper Tires, and Kubota Canada. All games will be broadcast nationally on Sportsnet and TVA Sports.